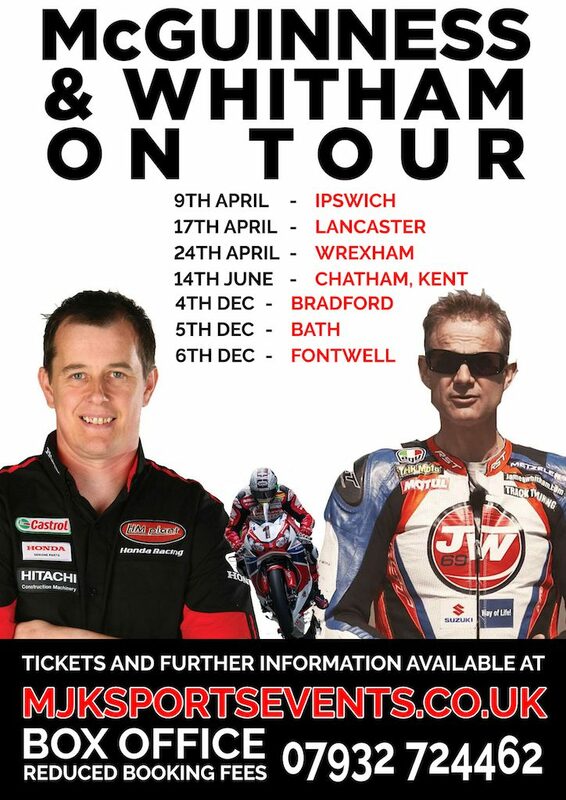 MJK Sports Events are extremely privileged to bring you the exclusive opportunity to hear the fascinating tales of this special man, as he exclusively opens up about his momentous achievements at the top level of motorbike racing. Following events and rave reviews in places like Aberdeen and Hereford and everywhere in between we thought it was about time we took the event on the road again and on April the 24that the Stiwt Theatre Wrexham you have the unique chance to hear everything from the man himself. £30 TICKETS INCLUDE A PICTURE WITH JOHN THAT WILL BE PRINTED ON THE NIGHT AND GIVEN TO YOU. Avoid the online booking fee by calling MJKs box office on 07932 724462. Our charges are just 25p per ticket. TICKETS INCLUDE A PICTURE WITH JOHN THAT WILL BE PRINTED ON THE NIGHT AND GIVEN TO YOU.